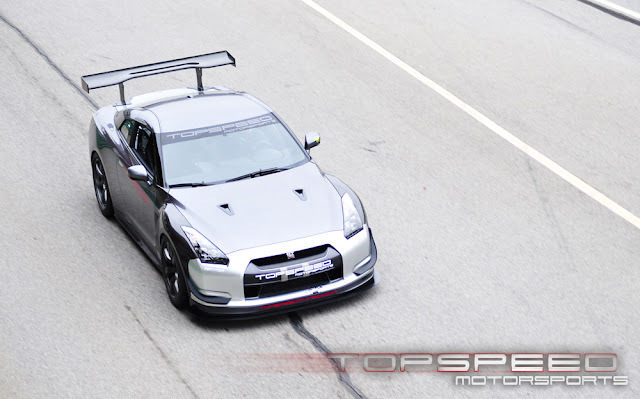 Top Speed and Leh Keen are preparing a Nissan GT-R for the One Lap of America event. 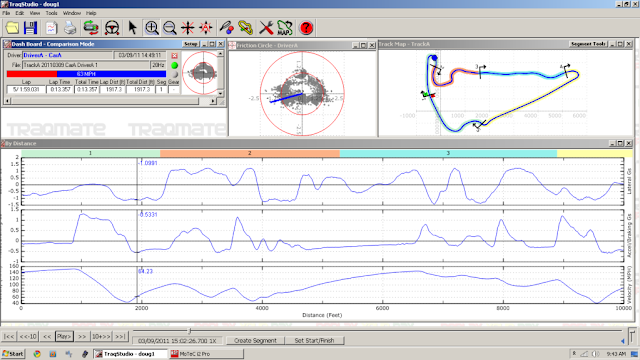 The car has basic power modifications now, with the first attention paid to aerodynamics, braking, suspension, and wheels/tires. Their best time was a 1:59.0 in the limited testing. STILLEN has just sent a set of 3 way front/5 way rear adjustable sway bars to help dial the car in a little more for the track conditions. From Doug at Top Speed. The TopSpeed wing, splitter and the Stillen canards are working amazing. We started the day with more rear wing dialed in then necessary since its easier to dial in aero push and then pull some rear aero out to gain aero balance in the car. After our first session we made some small changes to the rear wing and got the balance really close. So good that Leh was able to go flat out up to the essess, and all together the car is able to sustain 1.3-1.6g through the friction circle which is amazing for the stock dampners, KW sleeves and street tires. The endless pads and fluid also performed flawlessly with the AP rotors from Stillen. Leh was very happy with the pad's bite and release for trail braking as with the consistent feel they had for the entire day. All together we are extremely happy with our first test day as the first test day is usually the toughest and only expect the car to get faster from here. We will be making a few changes to the front to gain a bit more front downforce and grip. Stillen also has a set of sways on there way here for us to try, we feel that will help give us the little bit of support we still need in the chassis. Once we can get the aero and chassis working happily we will be dropping the motor for the Alpha 9 kit along with some more Cobb goodies. The car should pick up a good amount of top end charge with the AMS Alpha 9 kit. 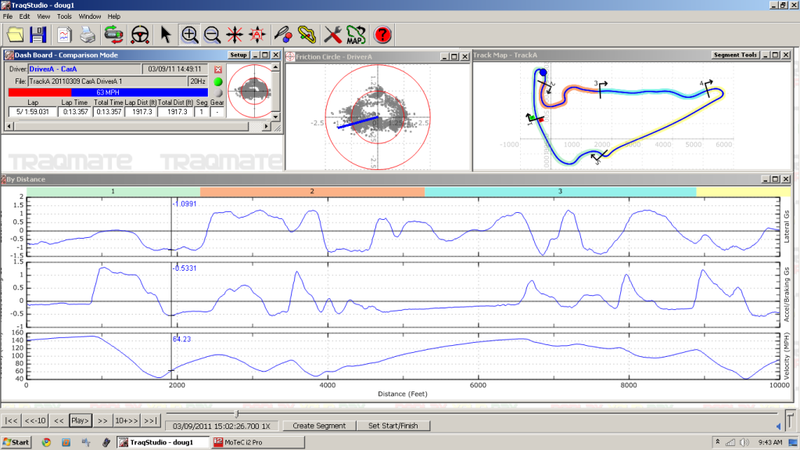 More speed, more testing, and they should have a very potent contender for the title at the 2011 One Lap of America.